What makes a successful food blogger or food instagrammer? What qualities and skill sets do good food bloggers and influencers have that set them apart from everyone else? Though there are countless things that separates those who find success in food blogging from those who don't, my winter instagram photography challenge is aimed at helping YOU develop a good handful of these skills to ensure your instagram feed stands out! Interested and intrigued? Then read on! I'll always ask for you to showcase your work on your instagram gallery every Sunday, Tuesday and Thursday. The first image will need to go live on Sunday, January 21st and the last image should hit your instagram grid Thursday, February 15th. In this challenge the aim is to fine tune your photographic skills, help you develop recipes that appeal, give you the support of a creative on-line community, encourage you to post regularly onto your instagram gallery and give you ideas on how to improve your instagram stories so that they rock. 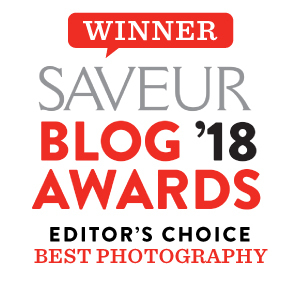 You will receive a weekly e-mail for 4 consecutive weeks; each e-mail will include 3 unique photography and recipe challenges, visual mood boards and instagram story tips to really spark your imagination. Just like in the last instagram photography challenge, you will have a minimum of 7 days to interpret the given photography and recipe theme. This should allow you enough time to experiment and have a play before taking your final shot. Please scroll down to join the mailing list and take part in this challenge. WHO CAN PARTICIPATE IN THE INSTAGRAM CHALLENGE? Anyone, anywhere! It doesn't matter if you've never used a camera before or if you are a professional. The photography challenge is all about pushing your own individual boundaries, playfully experimenting and being as artistic and creative as you want to be. IMPORTANT DETAILS ABOUT THE INSTAGRAM PHOTOGRAPHY CHALLENGE! This is one of the cheapest packages I currently offer! So don't miss out! At the end of each week I'll choose my favourite 3 images, I'll mention the winning photographers of the image in one of my captions on instagram (think shout-out) AND make them my #instacrushoftheday on instagram stories. It's my way of saying thank you. IS THIS CHALLENGE FOR FOOD PHOTOGRAPHERS ONLY? Yes! 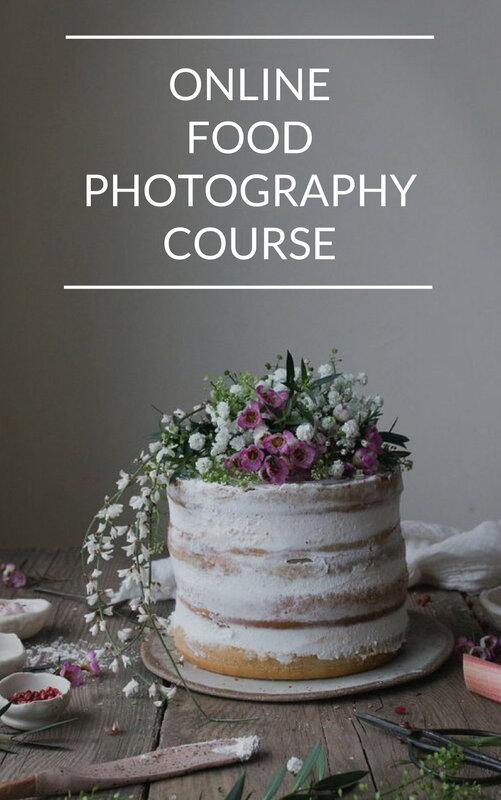 This challenge is aimed specifically at foodies, food instagrammers and food bloggers who want to work on improving their food photography, recipe development and instagram presence. No, you can use a regular camera, an iphone camera or anything else you've got to hand. WHAT IF I MISS ONE CHALLENGE BECAUSE I'M BUSY/TRAVELLING/SICK? WILL I BE DISQUALIFIED? No, of course not. There's no pressure to 'perform'. It's all about having fun and thinking outside the box. However, if at all possible I'd really recommend you try your hand at every challenge to reap the benefits of regularly taking pictures. WILL YOU COMMENT AND LIKE EVERY SINGLE ONE OF MY PICTURES? I promise I'll look at all the images submitted and heart the ones that make me smile, but I may not have the time to comment on every entry. However, if you'd like some personal feedback I'd urge you to consider the UPGRADE package mentioned above. CAN I SEE HOW EVERYONE ELSE HAS INTERPRETED THE CHALLENGE? Yes you can and I strongly urge you to. I feel it's an important part of the learning process. Allow your fellow creatives to inspire you. And if an image moves you, show your appreciation, leave a comment and let this creative community flourish :). I CAN'T MAKE THIS CHALLENGE. WILL YOU HOST ANOTHER ONE? YES! I aim to host a challenge each season. Please sign up to the mailing list below to be notified of the next challenge. I'M NOT ON INSTAGRAM, CAN I STILL PARTICIPATE? No, I'm sorry. This online photography challenge is instagram based. I'M ALREADY ON THE MAILING LIST. DO I NEED TO REGISTER AGAIN? It depends. Please check the prompts in your last newsletter or get in touch if you're unsure. Just leave a question in the comment section and I'll answer it as best I can.